Ron Fogarty is in the ‘eye of the tiger’ in more ways than one. The Princeton Tigers — the Ivy League hockey team he’s coached the past four years —captured the ECAC hockey crown on St. Patrick’s Day by beating Clarkson University 2-1 in overtime. “It was a great year for us, especially when you look where we’ve come over the four years,” Fogarty said from his home in New Jersey. Princeton went through second-seeded Union, then top-seeded Cornell and finally third-seeded Clarkson to capture the crown. It’s the first time Princeton has won the Eastern College Athletic Conference title since 2008. That earned the Tigers their first NCAA tournament birth in nine years. They finally fell 4-2 to Ohio State in the regional semi-final. When Fogarty arrived at Princeton four years ago the Tigers were cellar-dwellers having won just four games the entire season. But under his system the school’s fortunes began to turn. Fogarty moved to Sarnia as a youth and played hockey with St. Patrick’s High School. 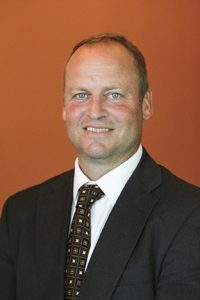 He coached and played centre for the Petrolia Squires before moving on to success as both a player and a coach in U.S. college hockey, especially Colgate University in New York. Princeton had finished seventh in the ECAC during the regular season. However, they upped the ante by going 7-2-1 in the last 10 games of the season and a perfect 6-0 in the playoff run. Fogarty said step-by-step preparation and a “philosophy to win” were keys to turning the team around. The Tigers competed on Fridays and Saturdays and the players spent Monday to Thursdays getting ready. Recruiting great players is key too, Fogarty said. With the season over, he’s heading to Beijing, China in preparation for the 2022 Winter Olympics, leading a seven-day camp in conjunction with the Beijing Kunlun Red Star team. “We’re heading to China to help build the game,” he said. Fogarty said he’s proud to come from a great hockey town and still follows the games with his two nephews, Carter and J.J. Fogarty, playing in the Sarnia system.